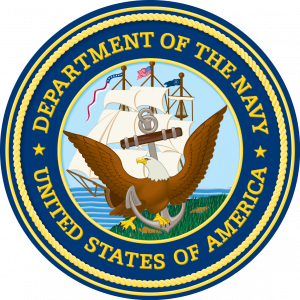 LCDR Chris Thomas USN (Ret), HA(L)-3 1969-70 passed away on Friday evening, 11 May 2018, in a hospital near Blue Bell, PA. No additional details at this time; will send your way as soon as they are received. Norristown, PA – Christopher Roy Thomas, Sr., 79, of Norristown, PA died at Einstein Montgomery Hospital in East Norriton, PA on Friday, May 11, 2018, after a brief illness. Chris was a creative man who did not tolerate ignorance and pursued learning in all corners. Growing up, his favorite place was the library. Known for his colorful language and incredible vocabulary, he was never without a book. Whenever we needed to know something, we turned to him. He always dispensed learning with generosity and often a touch of sarcasm. He was a talented aviator who worked hard at his craft. He flew helicopter gunships in Vietnam and flew off numerous aircraft carriers including the first Around the World Cruise on the USS Enterprise CVN-65. As evidence of his ability, he was the first helicopter pilot to complete a full auto-rotation onto a carrier deck at night. However, he was also a modest man and few people knew this about him. He enjoyed spending time with family, working on his house or his car, or helping his kids with their various projects. These activities gave him a peaceful, easy feeling. His only regret was not achieving his dream of owning a shrubbery with not one or two but three shrubberies, creating a terraced effect, with a path down the middle. He is survived by his wife, Peggy, and three children, Chris Jr. of San Diego, Rebecca Thomas Audet and husband Rejean of New Castle, NH, and Michael Patrick McLaughlin and wife Stephanie of Manassas, VA; his four grandchildren Claire and Teddy of New Castle and Fiona and Maeve of Manassas; his brothers Bill of Madison, Wis., Gary of Milwaukee, Wis., and his sister Pat of Anchorage, AK. Chris was predeceased by his father, Raymond, stepmother, Penny, and his mother Polly Findley. A memorial service will be held at the Naval Academy Columbarium on 14 August 2018 at 1400. In lieu of flowers, Chris would have loved it if you would hug your kids, eat some Skittles, or make a donation to the Injured Marine Semper Fi Fund or Angel Flight East.